During her one weekly shower, Dillon Beach resident Theresa Byrne crams her bathtub with empty peanut butter jars. When they're full of runoff water, she carries them into her kitchen and places them on the windowsill above her sink. Throughout the coming week, she uses that recycled supply to wash her dishes—until the next time she can afford to bathe. Byrne, 63, isn't the only person in her remote, coastal village counting every drop that leaves the tap. With bimonthly water bills climbing as high as $600—nearly six times the average paid by households in West Marin's other hamlets—stories of desperate water conservation abound in Dillon Beach. Lea Christensen-Morris, 64, washes her dishes with reused cooking water, saves drainage from her potted plants and wears only dark clothing, reasoning that she can launder her garments less frequently if dirt and stains blend in. Stephen and Jackie Cato, 63 and 64, don't even have a washing machine. They skimp on bathing too, so they can afford to let their teenaged granddaughter, who lives with them, shower every day. How did this happen? While the public North Marin Water District (NMWD) serves Point Reyes and Olema, a private utility called Cal Water bills homes in Dillon Beach. The rate difference is shocking. In early May, 15 Dillon Beach residents filled out surveys distributed by Byrne, reporting bimonthly highs between $250 and $600. Meanwhile, the NMWD reports that the average customer in its small coastal towns pays just $107 every two months—and for more centralized Novato customers, it's even lower. According to the public utility's website, its average ratepayer uses 60,200 gallons—71 CCFs—a year. A rate calculator on Cal Water's website shows that if each household in Dillon Beach used the exact same amount of water as the average NMWD customer, bimonthly bills would likely be around $473—over four times higher than neighboring towns. And it's about to get worse. In an upcoming rate cycle set to begin in 2014, the company has proposed hikes that would send those bloated $600 bills up to around $730. Though a private, investor-owned utility, Cal Water is regulated by the California Public Utilities Commission (PUC), the same agency responsible for overseeing PG&E during its San Bruno pipeline rupture that killed eight people. It's also a governing body notorious for cozy liaisons with the utilities it's supposed to keep in check. In a recent egregious example, PUC president Michael Peevey skipped a Senate hearing in Sacramento where he was to be grilled on this very culture of elbow-rubbing, opting instead to attend an exclusive Napa reception with utility heads. The event was sponsored by a dark-money nonprofit bankrolled by many of the utilities he's supposed to regulate. 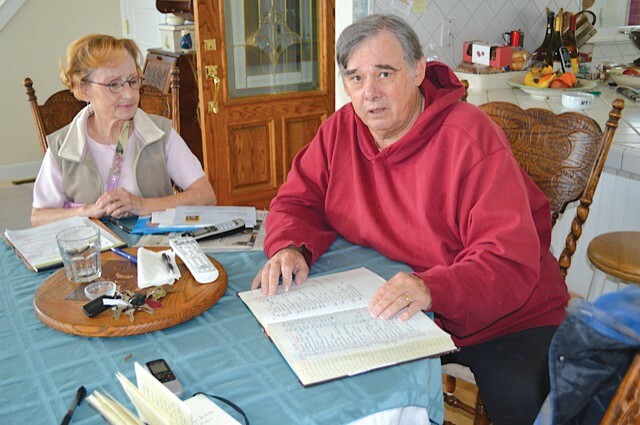 TRACKING THE TAP Longtime Dillon Beach resident Thomas McHale, 66, shows roughly $600 budgeted for every water bill. While ratepayers on the bottom are squeezed, executives in Cal Water's corporate office enjoy seven-figure compensation packages, multiple retirement plans, meetings that pay board members $2,300 a pop and at least one $84,000 company car. In the face of another rate hike, it's worth asking if this public-private partnership is living up to the PUC's supposed credo of providing "safe, reliable service at reasonable rates." But poring over the numbers from Cal Water's last three rate hikes doesn't just show requests for rate increases to fund executive office remodels and automatic gates. 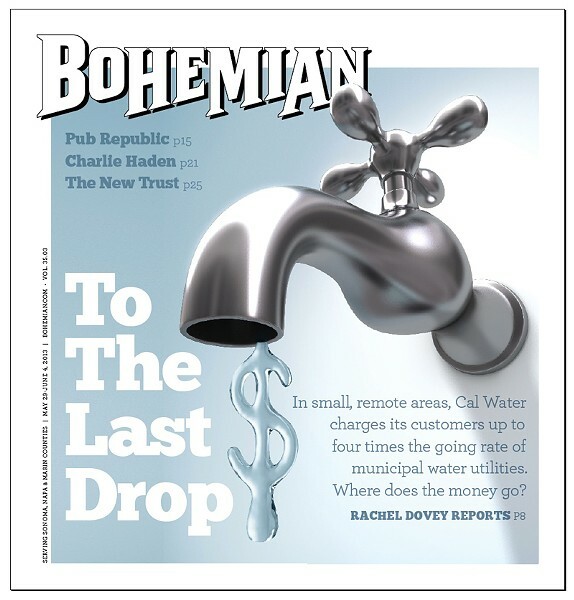 There's also evidence that the company collected large sums of money for new employees who then weren't hired, and talk of a $3.05 million refund to ratepayers that disappeared in a private negotiating session between Cal Water and the embattled PUC. Dillon Beach isn't Cal Water's only town struggling to pay its bills. The company serves multiple small, rural towns across California with low median incomes and high poverty rates. Locally, it provides water to parts of Guerneville and Lucerne in Lake County. In the Central Valley's Kern County, Split Mountain and Wofford Heights are two remote communities with median incomes under $30,000 and poverty rates nearly twice the national average. Twenty percent of the population in Glenn County's Willows and Yuba County's Marysville live below the poverty line. Kurt McKelvey, a member of water-advocacy group Lucerne FLOW (Friends for Locally Owned Water) in the small Lake County town, says his household's average bimonthly bill is $250, though that isn't the highest he's seen.